Clearly, when you think of New Year's resolutions, you're definitely thinking of how you can beef up your car insurance beyond the minimum state limits. Right? Well, maybe not. But you should! The most important way to protect yourself in the event of an accident – beyond wearing seatbelts and following driving laws of course – is to have the right car insurance. Car insurance terms can be confusing, and – more often than not – hard to apply to real life situations. With all the "Limited Tort this" and "Uninsured Motorist coverage that," it all sounds like a foreign language. In fact, you might be missing out on a necessary coverage simply because the insurance company hasn't explained it very well. So throughout the month of January, we'll be posting a series of blogs that break down and explain car insurance. We'll also provide our recommendations for proper car insurance coverage. It's our goal to make car insurance as simple and painless as possible. We'll explain just what Bodily Injury Liability is, why it protects you in an accident, and exactly how much coverage you should be carrying. For next to nothing, you can increase your limits and protect yourself in an accident. Find out more here! The weather forecast calls for a downpour. Before you leave your house, do you grab an umbrella or do you hope that a stranger on the street will let you borrow theirs if it starts to rain? NOT having adequate Uninsured/Underinsured Motorist (UM/UIM) coverage is like relying on a stranger to give you their umbrella so you don't get drenched. Find out more here! As part of our continuing series of posts about your car insurance for the New Year, we're going to take a look at Property Damage Liability. It's a seemingly simple form of coverage – required in Pennsylvania – that protects you from paying for damaged property after an accident. Find out more here! Have you ever heard of "stacking" your limits of coverage? If not, that's okay. You and millions of other Americans might be missing out on this little trick that could save you thousands. Find out more here! Stay Tuned – There's More to Come! We'll be breaking down every facet of car insurance from Property Damage Liability to Stacking to Uninsured/Underinsured Motorist coverage. 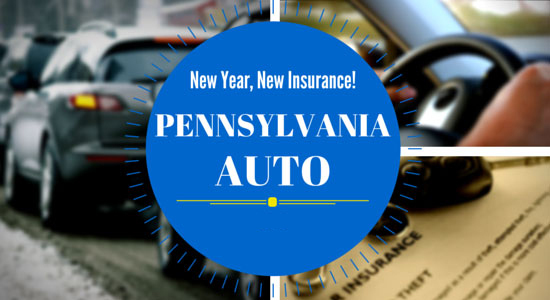 So check back through the month of January to find new and interesting articles that simply Pennsylvania car insurance. As always, if you're injured in an accident and need legal now, our professionals are standing by. Just pick up the phone or contact us online. We're always here to help.